The next time you get that itch for adventure, you’ll need a high-performing and exquisitely-styled crossover model by your side. For this, we’d like to introduce you to the new 2019 Ford Escape, one of the most versatile, capable and beautiful SUVs available in Canada. With bright, signature Bi-Xenon HID headlamps, a towing capacity of up to 3,500 pounds, and more smarts than most of its competitors, the 2019 Escape truly is a class leader in every regard; best yet, it’s available today in Edmonton AB. Check below with Sherwood Ford to see more of the new Ford Escape’s features! There are three engines at your disposal on the 2019 Escape, depending on the power and precision that you’re looking for – on standard trims you’ll have either a 1.5L EcoBoost Inline 4 or 2.5L Inline 4 to choose from, but upgrading to the Escape’s Titanium line will get you a 2.0L EcoBoost four-cylinder that can handle up to 245 horsepower and 275 pound-feet of torque! With all of these, however, available Intelligent Four-Wheel Drive ensures that you’ll keep a good grip on any stretch of terrain. The 2019 Escape line has thrown much research and development into its tech capacities, resulting in a model that features Amazon Alexa integration, Intelligent Access with Push Button Start, SYNC® 3 infotainment and more. Best yet, you can connect to everything lightning-fast thanks to a built-in Wi-Fi hotspot provided by FordPass™! This means that you can move forward in connected confidence. With seating for five passengers and a cargo rating of up to 68 cubic feet of space, the 2019 Escape already has a solid claim to the top of the crossover heap. That just makes its additions of a Panoramic Vista Roof, heated ergonomic steering wheel, hands-free, foot-activated liftgate and roomy centre console fitting cherries on top. It all adds up to a crossover experience that truly is second to none, which we’ve come to expect from vehicles of Ford’s calibre. 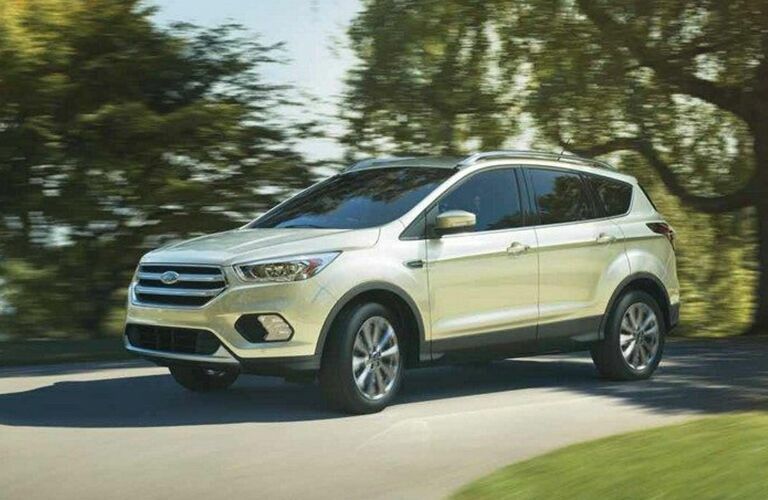 We have a healthy selection of 2019 Escape models on our lot if you’re looking to schedule a test drive – give Sherwood Ford a call today, and we can get you inside!